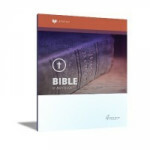 If you're looking to begin your teen's experience with a solid start, the LIFEPAC New Testament Survey Unit 1 Worktext fits the bill. Its motivating, print-based format explains New Testament themes and events, preparing your child for a fuller understanding of the gospels. This Alpha Omega curriculum includes self-checks and tests.